The HR-Vs contemporary shape catches the eye and stirs the heart. Its fluid lines have not only been designed to make the car look dynamic but, more importantly, aerodynamic and fuel-efficient. 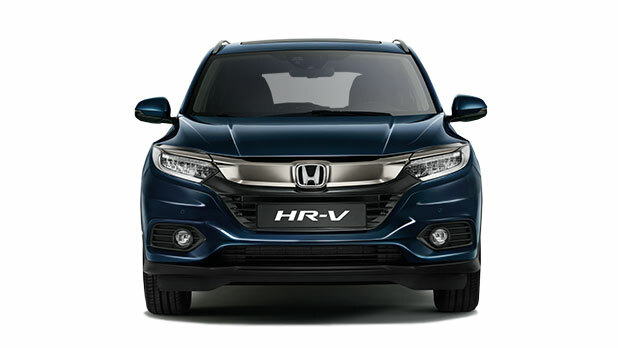 The HR-V incorporates a full colour 7" touchscreen Honda CONNECT in-car audio and information system which includes DAB digital radio and the Aha™ app*. These allow you to listen to internet delivered music services, radio programmes, podcasts, audiobooks and access your social media accounts. Bluetooth™ connects your smartphone to the Honda Hands Free Telephone system within the car, allowing you to stay in touch whilst on the road. Advanced technology gives you a brilliant, highly efficient drive. Choose from the responsive and efficient 130PS 1.5 i-VTEC petrol, or the 120PS 1.6 i-DTEC. Both engines are available with 6-speed manual gearboxes for a refined, smooth driving experience. Plus the 1.5 i-VTEC is available with a 7-speed CVT automatic transmission. When you choose the CVT version you have the facility to drive the car in a relaxed, fully automatic mode or, if the mood takes you, to change gear using the racing car-inspired, steering wheel mounted, paddle shift. The safety of your passengers, other road users and pedestrians has always been one of our fundamental design requirements. That’s why we have packed a great deal of advanced engineering into the new HR-V, most of which comes as standard across the range. We think the best way to avoid collisions is to be one step ahead, which is why we offer our Advanced Driver Assistance System technologies. They aid the driver by acting as extra sensors, warning and reacting where necessary. Like every Honda, the new HR-V is comprehensively tested to exceed the most stringent safety standards and has been awarded the maximum five star safety rating by Euro NCAP.